As the famous adage goes “Laughter is the best medicine” and who would not agree to that. Laughter surely is the best natural remedy to so many of our problems. We all know a good hearty laugh lowers blood pressure. If you had a hectic lengthy day, watching a comedy show or a hilarious movie is the best way to lighten up your mood and get rid of that gloominess; laughter helps you in reducing your stress hormone levels too. But do you also know the benefits of laughter to your cardiac health and that it also benefits your T-cells? Yes, the laughter, that we all take for granted, is much more than we give it credit for. People who can’t do difficult exercises because of theirfrail condition, are advised to laugh often because laughter burns the same amount of calories per hour as walking with moderate speed. Like stated earlier, T-cells, which are the cells responsible for the body’s immune system, activate when you have that full, joyous, satiated laugh. Laughter Yoga is centred around the healthy benefits of laughter therapy. In fact most people make no distinction between the two. Just incase you’ve never heard of it here’s what Laughter Yoga is all about. As the name suggests, it is an exercise to feel care free and laugh your heart out loud. 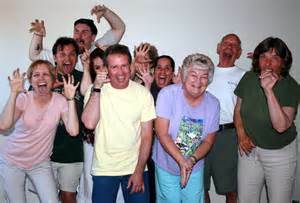 Laughter Yoga, or Hasyayoga as many call it, is a type of exercise in which people laugh voluntarily, mostly in groups. Although it is famous among senior groups in recent times it has also become popular among the younger generation as well. The routine involves making eye contact with your group member or partner and having a whole hearted laugh. It doesn’t matter, whether your laughter is genuine or forced, it will benefit your physical and psychological health. Although it originated back in the mid-1990s, proper channelled sessions were started in 1995 by Madan Kataria. He started a Laughter Yoga Club in March, 1995. Despite the fact that it was totally a new idea, it soon gained momentum and by 2011 there were more than 8000 Laughter Clubs in 65 different countries. The benefits of Laughter Yoga are not unknown. It has been scientifically proven that elderly people who have chosen Laughter Yoga to remedy depression, feel less depressed and more energetic and delighted. 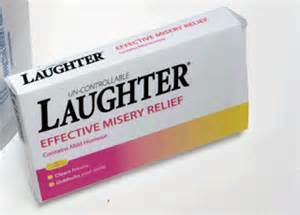 Not only does laughter mitigate depression but it also helps to reduce stress levels. The more you laugh, the more lively you feel. Laughter takes away your worries and tensions and helps you concentrate on your task. We all know too much worrying affectsthinking capabilities and productivity. We tend to become numb to our surroundings and sink deeper into a sorry state, which results in us falling ill and/or depressed. Laughter on the other hand lightens up our mood and triggers T-cells which help us in keeping our immune system in top shape. Similar to aerobic exercise, Laughter Yoga increases your oxygen level and makes you feel more energetic and stress free. When you imbibe positivity you tend to emit it too and create a happy, healthy and positive environment. Medical studies have proven that laughter and wellbeing are attributed to the release of endorphin in the blood stream. A noteworthy effect of this phenomenon is increase in the pain threshold which is assumed to be a by-product of the release of endorphin and has an opiate-like effect. As we all know a simple laugh can help spread some positivity, laughing can also help you to socializebetter. As you make it a habit to have a lighter mood and feel less stressed, you are more likely to enjoy meeting new people and making good friends. Many businesses have made a point of having a laughter session at the workplace in a bid to reduce workplace worries and stress and create a more energetic work environment. 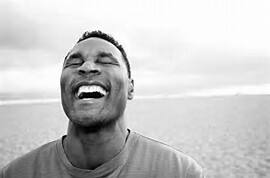 As Laughter Yoga is an inexpensive method to create a positive environment, organizations are more likely to take advantage of it. It requires no high tech machineries to be installed and it is a natural way to create a peaceful efficient atmosphere. According to Dr. William Fry of Stanford University, a mere 10 minutes of vibrant joyous laughter is equivalent to a full 30 minutes of exercise on a rowing machine. Imagine how helpful laughter would be in increasing your blood circulation level and balancing the oxygen supply. Strong, bonded team as laughter helps in creating an easy environment and people find it easy to connect with their colleagues. Better enhanced communication skills. When employees are happy, they feel relaxed and are able to communicate better. Better communication can help personnel in Sales and Marketing Sectors as it requires lots of healthy conversation with potential customers. Stronger attention span. We all know human minds cannot work with the same diligence and determination after 90 minutes of continuous work. After 90 minutes, the mind needs to take a few minutes of rest. If instead of that, the employees have a full 5 to 10 minutes of a laughing session; their brains will get the requisite energy boost needed for creative thinking at the workplace. Now that you all know the benefits you can achieve through laughter yoga, I’m positive you too want to be a part of these fun filled practices. 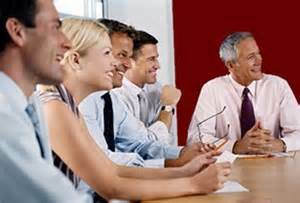 Many corporate organizations arrange for various kinds of laughter seminars and sessions. Laughter sessions may be as long as 3 hours or as short as 30 minutes and will help your people learn how to release their stress by doing some simple laughter exercises. Also through use of these humorous exercises, employees learn to bond more easily with each other and learn to cooperate and generally enjoy each other’s company. If our minds and bodies are not at peace, we will never be able to give our best shot at work, these laughter seminars are your way to release your stress and work with healthy minds. Now that you have learnt so much about the laughter and its benefits, why don’t you try some simple and easy laughing exercises yourself and have a good hearty laugh. Fake a smile and gradually start laughing out loud, trust me laughter is contagious you will eventually start laughing genuinely. Or why don’t you think of something stupid that you might have done in the past and have a good laugh over it. Kris is a laughter speaker who delivers laughter workshops and laughter seminars throughout the year for corporate clients as well as small teams. If you would like to learn more about the laughter sessions that Kris offers why not give him a call on +61 438 545 607 or email info@laughterworks.com.au. 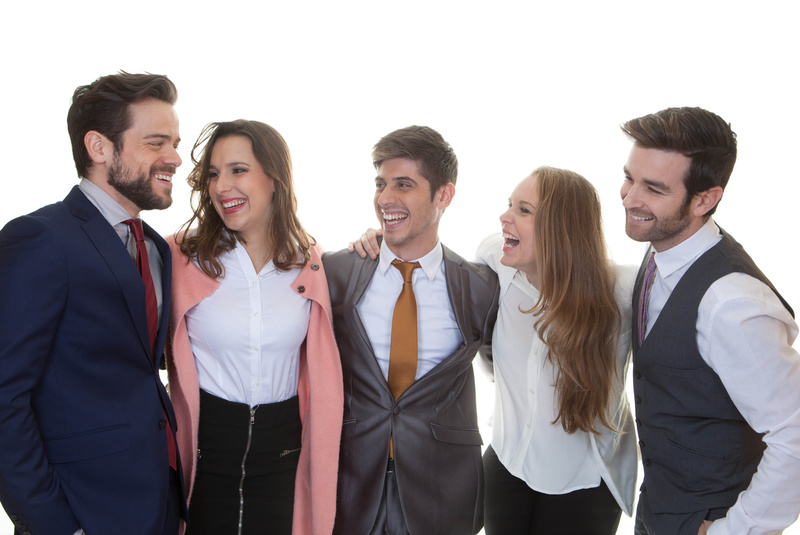 Twittables: 4 Ways to Boost Your Leadership Stocks Through Laughter [Click To Tweet] Laugh- It’ll Improve Your Leadership More Than Another Leadership Course [Click To Tweet] As you know, we’re big on laughter here and the important role it plays in our personal and professional lives. And the evidence keeps mounting- we came across an interesting bit of research about the value of laugther for “social grooming” (courtesy of our good friend Andrew O’Keefe, www.hardwiredhumans.com ). Social grooming, is what we, (in fact all primates), do to help this form of cohesive and productive social groups. Why it matters is that groups that don’t bond- don’t function. Groups that do bond- do function. The danger in many modern workplaces, with the huge workloads, long hours, and stress- is that in an effort to get through all the work we stop bonding with others. That very quickly leads to a breakdown in social relations which has implications for trust, collaboration, conflict and ultimately performance, innovation and leadership. Spending sometime chitchatting with your colleagues, being a bit personable, and knowing more about them than just the professional roles all helps. On the other hand- you don’t want to go too far the other way. All social chit chat, and no work, is also unproductive. So, how can you bond quickly in the workplace; create some bonds, and perform a high level? Well, it turns out that laughter is an ideal way to do this. 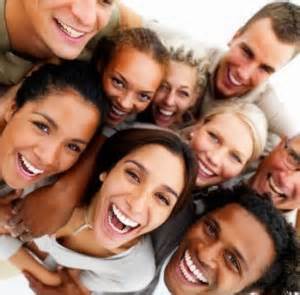 Laughter is quick, enjoyable, and it releases feel-good endorphins which help us enjoy the company of our colleagues. If you’re a leader, setting the right “tone” for laughter is important. One caveat here- is that the laughter isn’t at anybody’s expense. Run a laughter workshop, or a series of laughter workshops. Have us present a laughter session at your next quarterly forum or annual gathering. Kris has conducted numerous laughter events to wide acclaim. If you would like to have him at your next laughter workshop or conference don’t hesitate to get in touch with him; info@laughterworks.com.au or give him a call on +61 438 545 607. Doesn’t laughter make you feel good? Doesn’t laughter make you just want to get along with people? Especially the ones you’re laughing with? Laughter brings you into the moment and it helps you focus. All the things we want in the workplace; collaborating with others, getting along with our peers and keeping focused on what we’re doing in the present. So why do we keep it out of workplaces? Nothing builds teams and bonds like laughter. It is the best team builder. 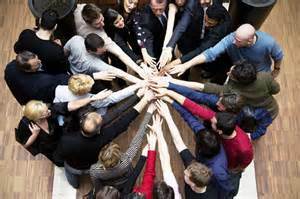 Organizations often spend a lot of time and money on team building workshops and/or exercise. Things like treasure hunts, cook-offs, if you’re really adventurous you might go abseiling, puzzles, games, tags of war- all sorts of things. And what they want to achieve at the end of that is people coming together; having a good laugh and understanding each other as people not just as fellow “workers”. It is after all the personal bonds that build good workplace relationships. So why not cut straight to the chase and instead of having an elaborate team building workshop hold a laughter session. It’s easy, quick and everyone can participate. It requires no elaborate set-up; you just have to have people turn up. It’s done standing and moving so you get some good exercises as well and it’s not a sedentary activity. There are no complicated rules to understand. It’s very time flexible you can have a laughter session in everything from 10 minutes to 2 hours. It’s very difficult to offend anybody; you don’t have to worry about being politically correct- you just do a laughter session (PS: In laughter sessions there are no jokes it is straight out laughter without the jokes so it is very safe). Everyone understands how to laugh so it involves everybody. As well as bonding laughter is good physically for you. It releases oxytocin and all sorts of feel good chemicals. Laughter helps you lose weight and loosen up. You can run laughter sessions at any location; inside an event, at a meeting, at a teambuilding session especially at a conference. And best of all laughter is a lot of fun. So next time you want to improve performance and productivity at your workplace forget all the difficult, challenging setup team building exercises that are complicated and sometimes not that much fun and go straight to the heart of it. Why don’t you get yourself a laughter session with Kris. To get in touch call +61 438 545 607 or email info@laughterworks.com.au.